The Invicta Dynamos are pleased to confirm that 29 year old shot stopper John Dibble has elected to stay with the club for 2017/18 having answered a mayday call not once, but twice, and performed exceptionally when the Mos suffered a netminder injury crisis last season. Until 2016/17 John Dibble had spent his senior career exclusively with the Bristol Pitbulls icing in the ENIHL and then the NIHL South Division 2 for the southwest outfit. He was a key figure as the Pitbulls claimed the ENIHL South Division 2 title in 2009/10 and again when they were NIHL South Division 2 playoff and southwest champions in 2014/15. However the goalie’s next honours came in Gillingham as Dibble came to the rescue to fill the gap between the posts following long term injuries to both of the Dynamos’ regular shot stoppers. With Damien King and James Richardson side-lined, Mos Head Coach Kevin Parrish secured the arrival of the Bristol netminder, initially on a loan basis, and he was a part of a team that put together a run of 7 wins in his first 9 outings. Dibble was then to return west post-Christmas but a reoccurrence of King’s injury saw him answer the call again and he made his switch to Kent more long term eventually finishing the season with 22 Mos appearances and a playoff winners medal. In 2016/17 John Dibble spent 1,162 minutes between the posts for the Dynamos and saved a remarkable 91.35% of 775 shots on his net. His performances were a major factor in the club securing a second place finish in the NIHL South Division 1 setting up what was to be a victorious post season as the team lifted the last silverware of the campaign. Now the shot stopper is back for more having committed his future to the Mos for a second term where he will once again pair up with fellow netminder Damien King. Speaking on the return of John Dibble, Head Coach Kevin Parrish said, “John really dug us out of a hole last season and showed that he belonged at this level of the game. When we needed it most he was a very safe pair of hands between the posts and I’m delighted that he has agreed to return on a full time basis this campaign. He’s a consummate professional, he fitted in instantly with the rest of the team and I know the fans took a liking to him too. 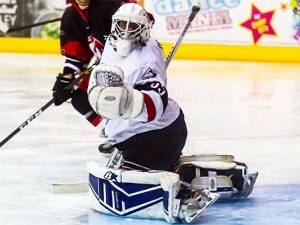 Between John and Damien King I believe we have one of the strongest netminder pairings we’ve had for a long, long time and I’m confident both are up to the challenge that the newly configured NIHL South Division 1 will bring”. 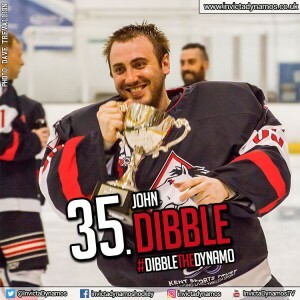 John Dibble will wear number 35 for the Dynamos in 2017/18 and is the fifth player announced for the new campaign this off-season following the earlier captures of Damien King, Ondrej Zosiak, Mason Webster and Bobby Chamberlain. News of further signings will be announced on the club’s website, Facebook page, Twitter feed and Instagram account in the coming weeks. Warm-up Jersey – For just £125 get your name or logo printed on the back of John Dibble’s warm-up jersey. Sponsors are also named on our website and in our match day programme and then presented with the jersey to keep at the end of the season. Game jerseys – For just £250 for individuals / £300 for businesses get your name or logo on the back of John Dibble’s game jerseys. 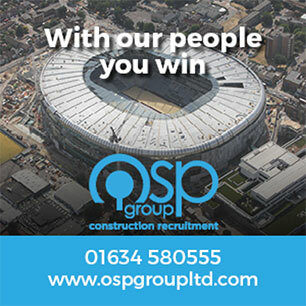 Sponsors are also named on our website and in our match day programme, are announced over the loudspeaker during player introductions at every home game, receive a programme advert (business sponsors only) and are presented with the jersey of their choice at the end of the season.